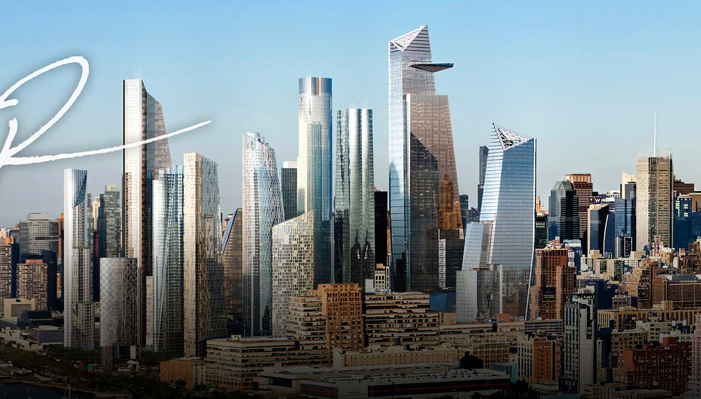 The Hudson Yards project has taken decades to get off the ground, but construction is well underway on the site’s first few buildings, with the superstructure for 10 Hudson Yards already making an impact on the skyline. 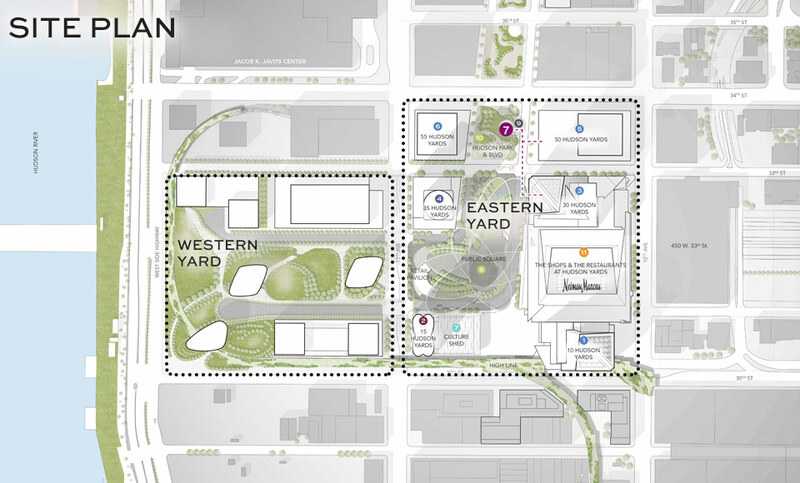 While the Eastern Yards will be impressive in their own right, the Western Yards are a bit further down the development pipeline, but Related has created a new set of conceptual towers that illustrate their potential, posted in an update to the Hudson Yards website. The Western Yards hold over six million square feet of development potential, which will translate into a handful of towers spanning a variety of uses. Public space will be dominate the overall layout, and the landscaping between each of the new buildings will be significant, with pedestrian plazas creating a vibrant public space over a formerly-forlorn railyard. In terms of usage, the breakdown will be 2,000,000 square feet of office space, 4,000,000 square feet of residential development, 100,000 square feet of retail, and a 120,000 square foot school. The Eastern Yards are far larger than the Western end, partially because they encompass an extra block to the north, containing 50 and 55 Hudson Yards. Neither of those sites were owned by Related when they won the bid to build the master-plan. Individual designs for the Western Yards towers are likely many years from finalization, with the full build-out of the Eastern portion scheduled for 2018. Still, the Western Yards are mostly residential, which is much more in-demand in West Chelsea and the Hudson Yards area than new office space, at least at the moment. That could encourage a hasty completion even after the first part of the complex took over a decade to truly get off the ground. By the time the Eastern Yards open, the first buildings of Brookfield’s Manhattan West development will be opening their doors, as will the Moinian Group’s 3 Hudson Boulevard. The combination of new construction will rapidly transform the Far West Side over the next five years, and while it may currently be inconceivable, a new neighborhood is rapidly taking shape. For now, the Western Yards are sporting an ultra-contemporary look, and appear more futuristic than most anything going up in New York City at the moment (except for the nearby Zaha Hadid-designed building under construction at 520 West 28th Street, which is also being developed by Related). Large swooping forms are sliced and diced as they ascend into the skyline, and one of the structures even appears slightly conical. The full image is below, and the mid-2020s would be a reasonable estimate for the site’s full build-out. In the meantime, work is in full swing, and 10, 15, 30, 35, and 55 Hudson Yards are all expected to open well before 2020 rolls around. 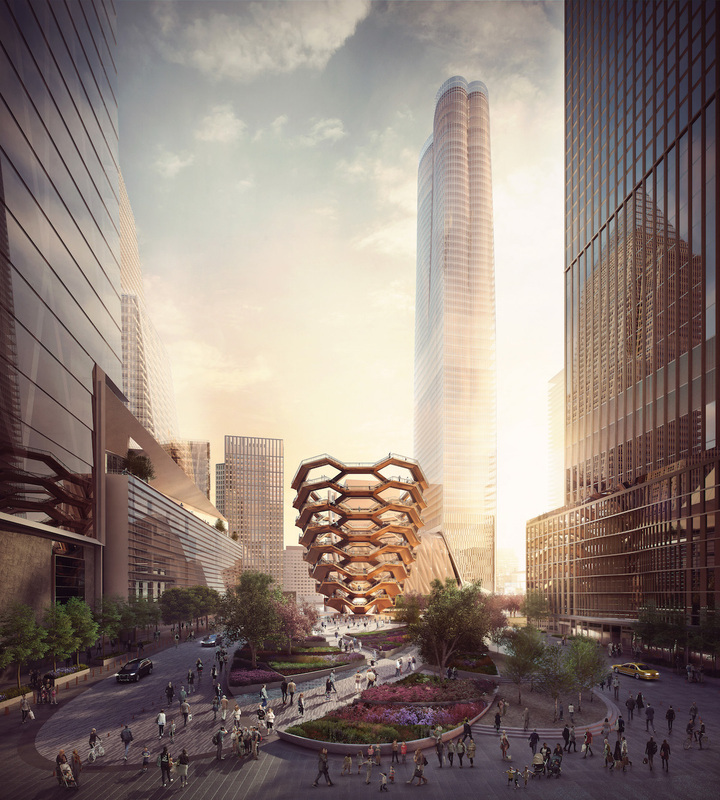 1 Comment on "New Look at Related’s West Side Yards, at Hudson Yards"